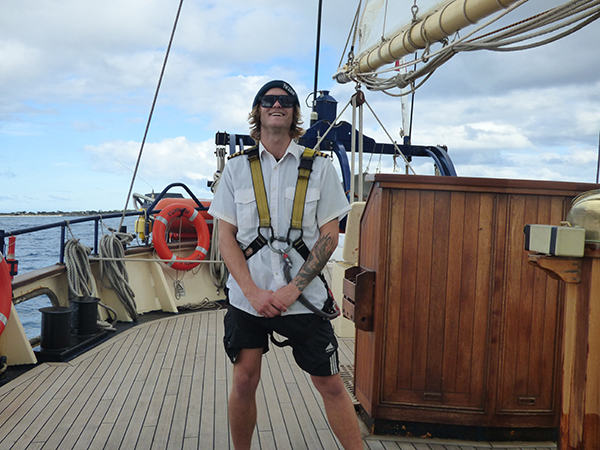 On the last voyage of the Leeuwin 2017/18 season, Group Training South West generously provided sponsorship for two apprentices to board STS Leeuwin II departing Geraldton Port. 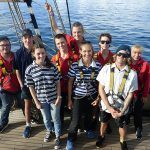 Using the power of sail training to influence positive change and development in young people studying trade apprenticeships, Group Training South West forged a new joint collaboration with Leeuwin Ocean Adventure. 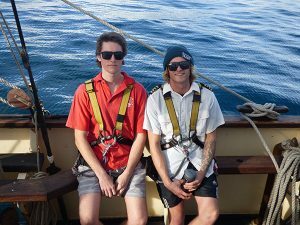 Brayden Mitchell (20) and Kyle Grundy (21) applied through a sponsorship process and boarded WA’s own tall ship from 15 – 21 June. 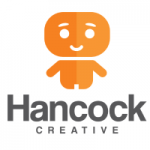 The two apprentices were offered the experience to increase confidence, courage, self-awareness and tolerance of others and improve soft skills to follow their career and life goals. 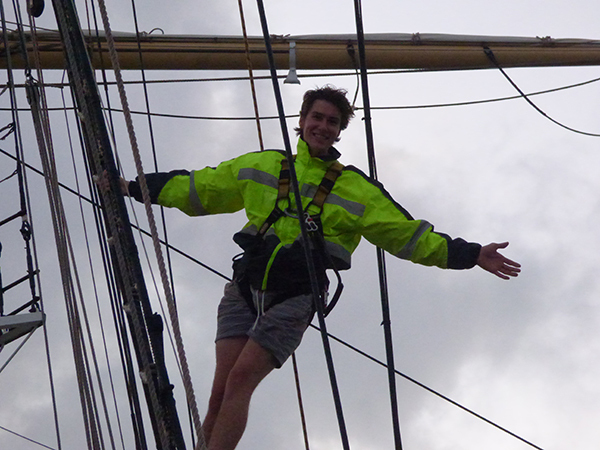 Throughout the voyage students participate in all onboard activities, including working aloft, cleaning the deck, participating in night watch and climbing the 33m main mast. During the last full day of the voyage it is over to the participants. 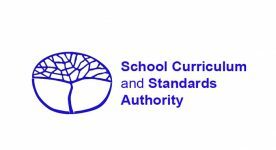 As a group, participants will nominate those of their peers onboard who have demonstrated the skills needed to make up a replacement crew. Both men excelled throughout the program with Brayden being elected as Captain and Kyle as Navigator on hand over day. “This sponsorship was important to me as I have never really been a people person,” said Brayden. 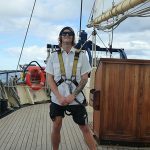 “Being thrown on a ship with 40 strangers for a week left me with no choice but to start conversations and step out of my comfort zone”. 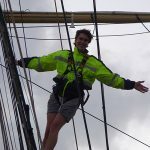 “At the end of the voyage came a hand over day where the participants took over and I was elected Captain for the day”. 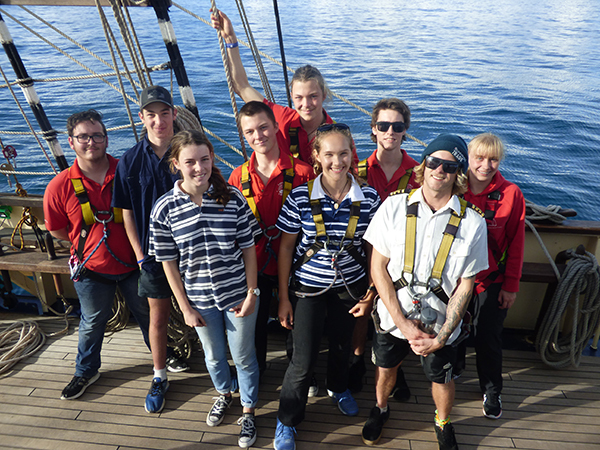 The Leeuwin aims to enrich the lives of young people through adventure, participation and challenge on board Western Australia’s very own tall ship, the STS Leeuwin II and is funded through the sale of voyages, a combination of grants, corporate sponsorships and donations by organisations and the general public. For more information on the above voyages please click here or call (08) 9430 4105.